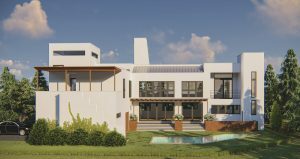 Atlanta Magazine’s HOME is pleased to introduce the 2019 Modern Style Showhome, located in Buckhead just minutes from Chastain Park. Showcasing the latest trends and newest ideas in modern design, this cutting-edge home will spark inspiration featuring work by Atlanta’s top designers. The Modern Style Showhome is one of 10 homes available for touring during the MA! Architecture Tour, which is part of the Atlanta Design Festival. By purchasing a ticket to the festival, you are granted 2-day access to the full tour on June 8 + June 9, 2019. The 2019 Modern Style Showhome is one of 10 homes available for touring during the MA! Architecture Tour, which is part of the Atlanta Design Festival. By purchasing a ticket to the festival, you are granted 2-day access to the full tour. To purchase tickets, visit atlantadesignfestival.net/tickets. Tickets are not available for purchase at the door. No refunds will be issued. No large purses or bags. Children under the age of 10 are not allowed on the tour. Homes are not handicap accessible. Shoes may have to be removed at some locations. Tour informational materials will be available for pick-up at the Modern Style Showhome during tour hours. Share your Modern Style Showhome pictures with us using #ModernStyleShowhome and #AtlantaDesignFestival on Instagram, Twitter, and Facebook. Be sure to tag us @atlantamagazine. Founded in 2007 by Rodolfo Castro, Castro Design Studio, LLC is a full-service boutique residential design firm based in Atlanta, Georgia. The firm focuses on the planning and design of custom, high-end residences and vacation homes. Their projects include new houses, additions, restorations, and renovations. Castro Design Studio, LLC believes that a house is to be lived in and enjoyed, not simply admired. It is the people in the house that give it life. While their work draws inspiration from the traditional and classical architecture of the area as well as from the client’s own ideas, their design is not necessarily defined by any particular style. Traditional and Modern elements are often comfortably combined creating work that is both timeless and current while respecting the project’s site and context. Founded in 2004, Tate Builders & Associates, Inc. and set out to change the experience of building a custom home. 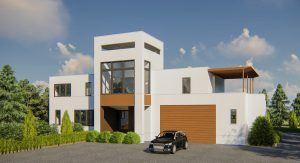 In the past 14 years, they’ve built custom primary and secondary residences and are honored to have worked alongside a long list of satisfied homeowners, architects, developers and investors. Tate Builders is known for enduring quality, beauty and an impeccable sense of detail. They have a transparent approach to their operations and it’s the way they’ve run their business for years. While always keeping their client’s best interest in mind, Steve and Emily Tate treat each home as if it was theirs and vows to provide clients with choices as well as an honest recommendation. Building a new home is one of the most time-consuming and expensive undertakings that a person will have in their lifetime. Tate Builders believes that it should be one of the most rewarding, as well. j witzel interior design is a full-service interiors firm specializing in modern, yet approachable, designs that reflect each client’s individual style and spirit. With fifteen years of design experience, principal designer and company founder Julie Witzel offers an approach that pays special attention to the balance, scale and light of an interior space. Knowing that creating a home is an intensely personal process, Witzel strives for excellence in every detail of the project. With a focus on residential and boutique public spaces, the portfolio of j witzel interior design includes projects in Georgia, Tennessee, Montana, Alabama, Maine, Ohio, Chicago and St. Louis. Her work includes office and art gallery spaces, restaurants and a recreational ranch lodge, as well as luxury residences and vacation homes. Witzel’s ability to listen to a client’s desires and translate them into a sophisticated and functional composition allows her unique talents to be relevant in any type of assignment. As a designer, Witzel gains her inspiration from the world around us and has a strong affinity for science and nature. This has enabled her to develop a unique approach to design that is not only artistically based, but also exceptionally analytical. In 2009, Witzel became certified by the National Council for Interior Design Qualification and has been featured in numerous publications including: Atlanta Magazine HOME, Atlanta Homes & Lifestyles, Modern Luxury Interiors, The Atlanta Journal and Constitution, American Craft Magazine, ASID InDesign, and has received Best of Houzz Awards in 2013, 2015 and 2018. She has also been featured in the Modern Atlanta Architectural Tours (now the Atlanta Design Festival) in years 2012, 2015 and 2018. For 145 years, the Atlanta Humane Society stands strong in defense of the vulnerable. They believe the relationship between humans and animals has deep significance, and they call on our city and each other to take action. Atlanta Humane Society puts up a united front against cruelty, neglect, and displacement. With a heart to better lives, they connect homeless animals with good homes and neglected animals with safe spaces—uplifting our community by instilling compassion.